It was in the middle of 1960 that the art of graffiti started spreading, firstly at the political scene of America, where many political activists wanted to publicize their views and later in ghetto areas, as a territory mark between crews. Nowadays graffiti is more than art. It’s a way of expression and the only way which converse the grey color of the city view into something bigger and brighter. 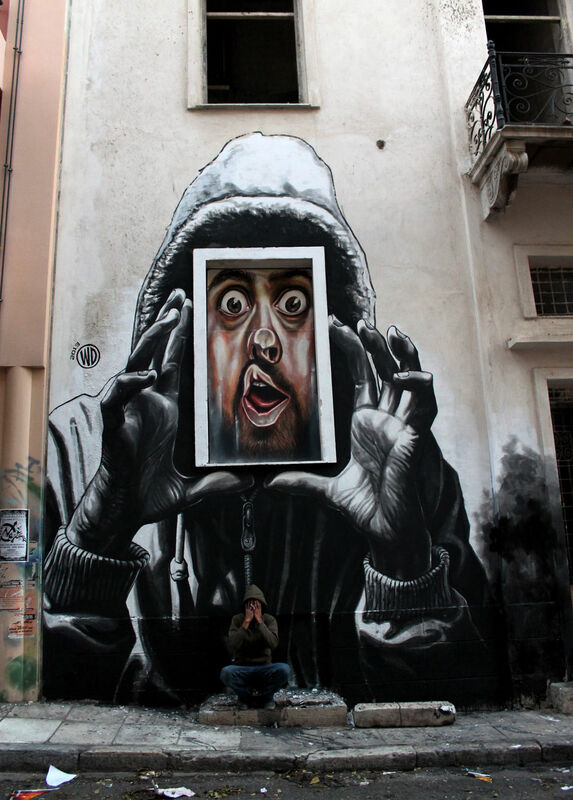 In Greece, due to the economical and political crisis, street art is something really common. All this mass of information and misinformation we receive from the daily news, seems to inspire more and more street artists to create what we now call graffiti. And that is sort of a way for Greeks to fight the depression and the truth of reality, throughout the most powerful weapon, Art. 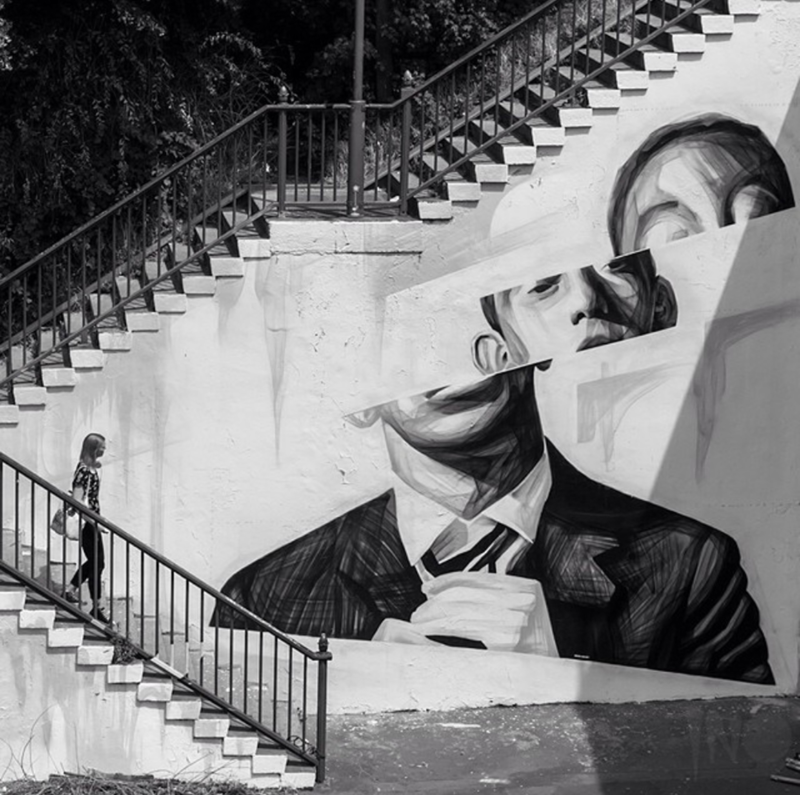 HIT, JASONE, Alexandros Vasmoulakis, Sonke, Stelios Faitakis, iNO, Dreyk the Pirate, Dimitris Taxis, WD and Cacao Rocks are some of street artists whose murals inspire and astound the public. Street artists use various of tools for their murals. 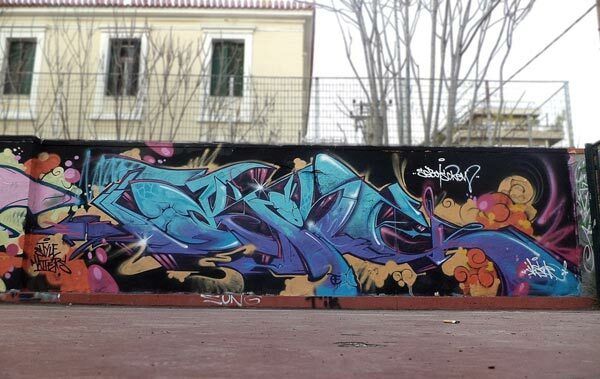 There are a lot graffiti markers such as Ironlak markers, with which artists can easily create beautiful sketches. His style is clear wild style and he is known for his characteristic cartoon figures. He is inspired by SEEN, T-KID and of course New York city! One of the most popular bombing graffiti crew, known for their characteristic font. 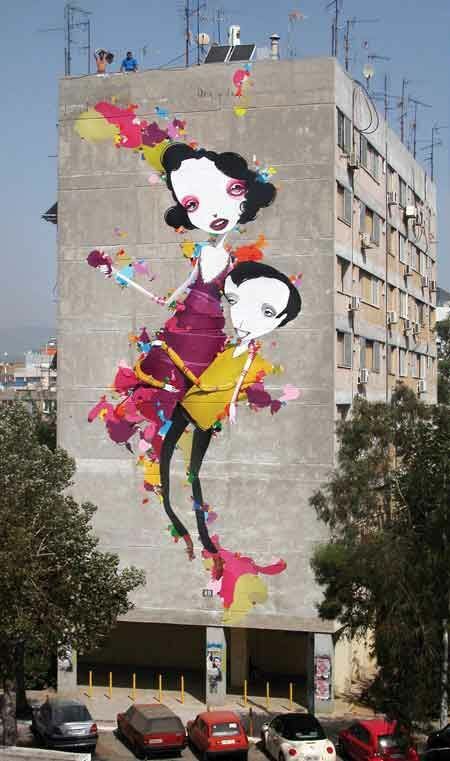 Inspired by the book “Mural Art” by Heinz J., Alexandros is known for his romantic women figures. 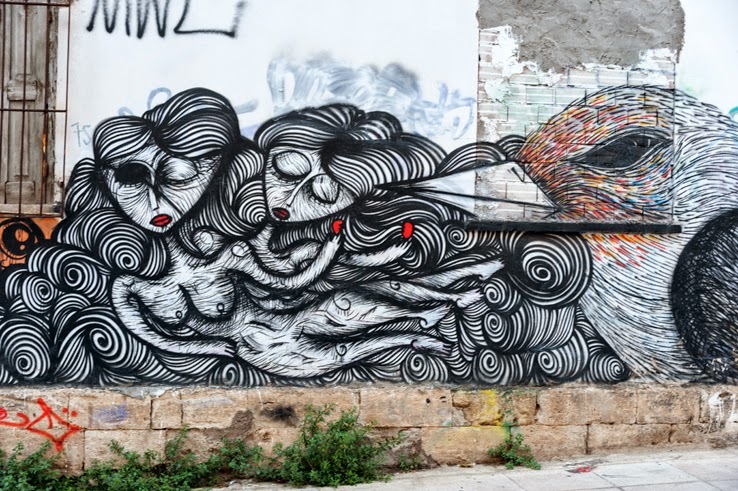 He is one of the most known artists in Greece due to his characteristic black and white women figures, with the long curly hair and the red lips. 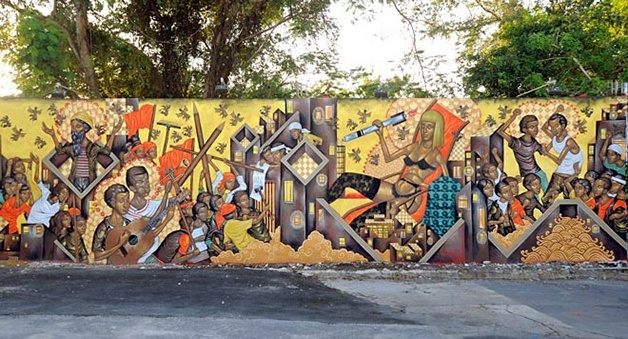 Known as Bizzare, Stelio’s murals are inspired by the byzantine hagiography. His work has been published in Moma museum in New York. 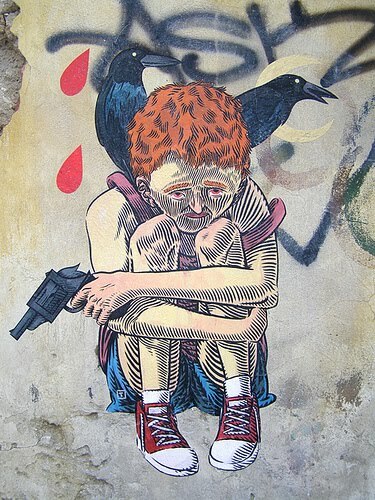 Known for his oxygen mask illustration, iNo is an underground street artist and his work is worldwide recognized. His trademark is a pirate, but lately his murals illustrate sad and romantic sailors. 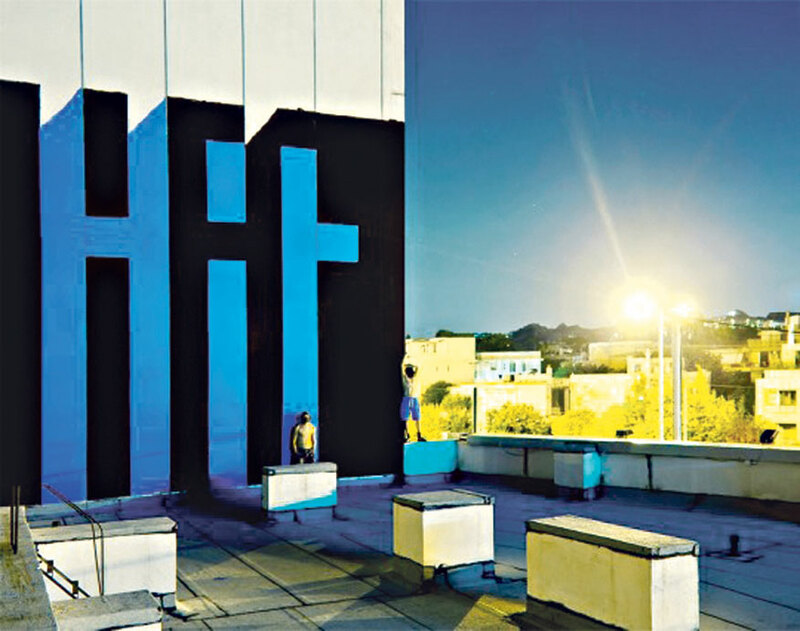 His murals are inspired by the Renascence and he mostly uses blue color as his trademark. Wild Drawin from Bali is working in Greece from 2006. His first illustration was a black and white smiling face. 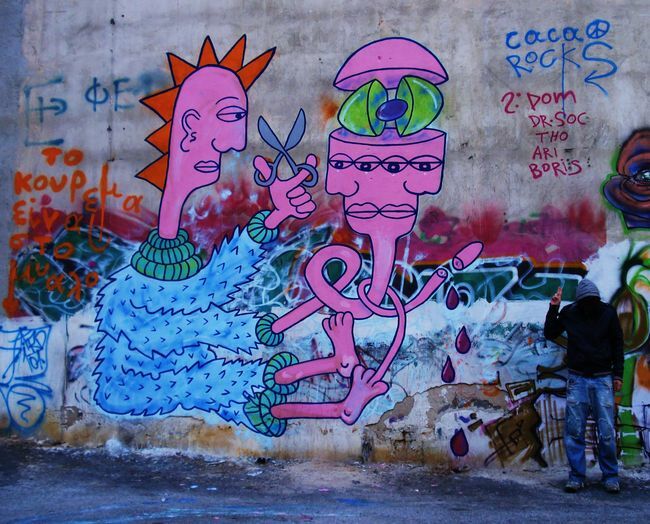 Half from Corfu and half from France, Jason known as ‘’Cacao Rocks, is an alternative street artist and his work is inspired by hip hop, Keith Haring and Kousto. The Bombers Originals are back!